Knee pain and ankle braces? Am I totally crazy? Well, what is the function of an ankle brace? Isn’t it to try and immobilize the ankle joint? Anyone who needs an ankle brace either has a recently sprained ankle or an old injury that has left their ankles weak and unstable. So, you throw on a stiff ankle brace to protect it, right? I’m not sure if you would ever have another reason. Impossible, right? That’s because your knees are NOT a mobile joint. The way the body works is by alternating mobile and immobile joints as you move up the body. 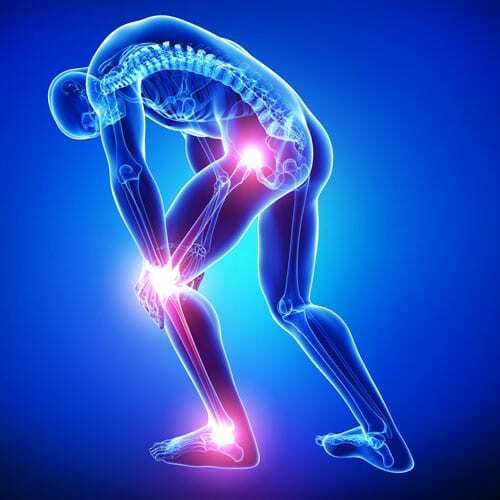 So, we start with the mobile ankle joints, then the immobile knee joints, then the mobile hip joint, then the immobile lower back (that’s why you should never stretch the lower back, by the way), etc… So, if you have read any of my other articles or watched any of my videos, you know what I am going to say next… do NOT mess with the body’s natural way of functioning. Doing that is almost always a bad idea. You should NOT force the body to move in an unnatural way. It almost always leads to pain and/or injury. And that takes us back to the ankles and the knees. When you wear an ankle brace, you are forcing the body to do something it was NOT meant to do… you are switching the mobility of the joints. In other words, the ankle becomes immobile and the knees are forced to become more mobile. That means the ankles cannot move because they are restricted by the brace and the knees have to stretch further then they are safely able to do. But, the knees cannot stretch more than a few degrees safely. So, an ankle brace exposes the knee to a very serious injury. Consider the following statistic… Over seventy percent of ACL (Anterior Cruciate Ligament) tears in the knee are NON-CONTACT injuries. In other words, no one touches you and the knee stretches too far and tears. That’s over 70,000 ACL tears a year that are non-contact. One of the main reasons this happens is immobility and instability in the ankle joint. And the reason for that is an ankle sprain that was never fully healed. So, you see it all comes back to healing the ankles properly in the first place. If you heal that injury fully, there is no need for an ankle brace. In fact, your ankles will be strong and stable and have a healthy range of motion. 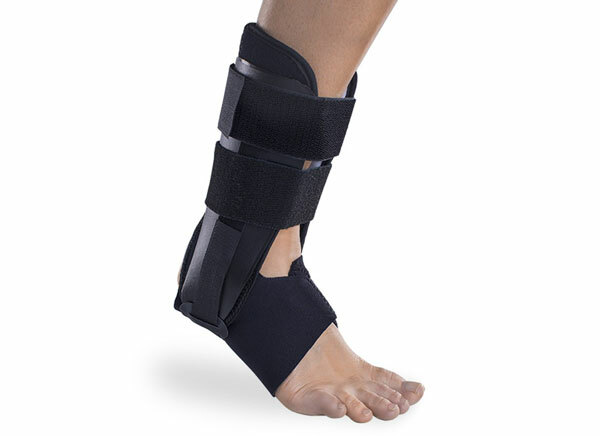 That DECREASES your risk of a sprained ankle and avoids the need for an ankle brace. And by avoiding the ankle braces and keeping your ankles healthy, you DECREASE the risk of knee pain or worse, a tear in one of the key ligaments in the knee. So, I strongly recommend that you take the time to heal up an ankle sprain the right way. Don’t just sit around and rest and ice and wait for your ankle to try and heal itself. Do the active, safe, and gentle rehab necessary to heal that ankle up and then you will find yourself much, much better off. You can use HEM Ankle Rehab or go see a good Physical Therapist, but please take care of that ankle so you don’t have more serious issues down the line.